Keep it off links to activities requiring throwing, catching and defending. 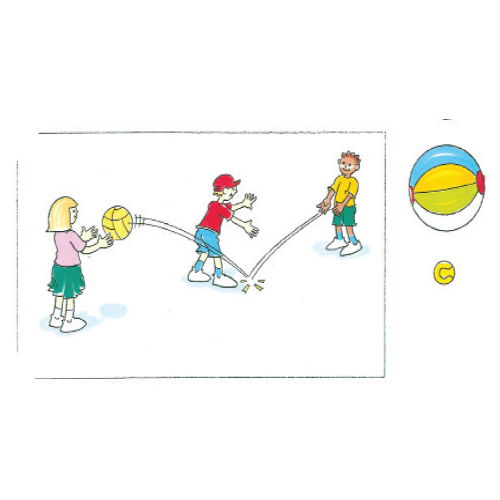 Divide the players into groups of 3, with 2 players passing the ball to each other, keeping it away from the third group member. When the ball is intercepted, players switch roles. What can we do to make this game harder for the player trying to intercept the ball? When the defender is standing in front of you, what is the best type of throw? When the defender is standing next to the receiver, what type of throw is best?